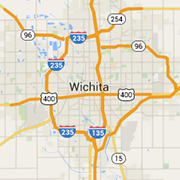 Looking for a job in Wichita? Check out these employment resources. The KU School of Medicine is looking for an experienced Web Designer/Developer to join the KU team! A full-service recruiting and staffing services provider. Orchestrating the perfect match is our specialty, and our reputation for success is unparalleled.